It’s not possible to write about wireless earbuds without mentioning Apple’s bold decision to remove the headphone jack on the iPhone 7 back in 2016. AirPods subsequently gave rise to “true wireless” earbuds that are cable-free but link to each other and a device over Bluetooth. 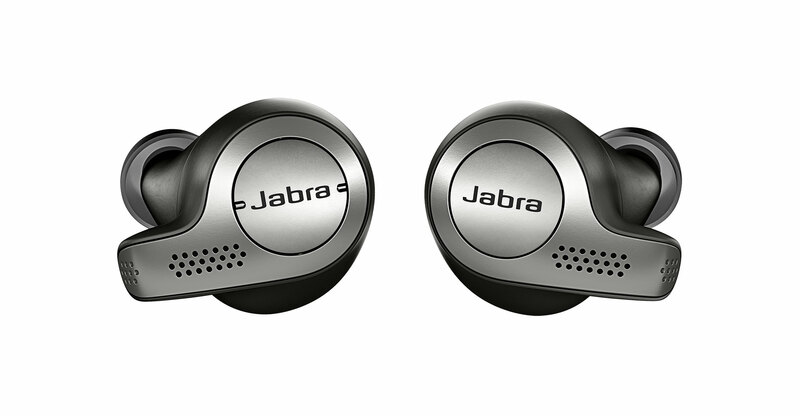 There hasn’t really been much of an “AirPod killer” until the Jabra Elite 65ts came out. These “true wireless” earbuds work with both Android phones and iOS devices, and come in a charging case that provides up to five hours of battery life — and 15 hours on a fully charged case. Additionally, it’s IP55 rated to withstand dust or sweat. The earbuds are made of hard plastic but don’t feel cheap and certainly look good when compared to the one-size-fits-all Airpods. They fit within your ears, with no dangly bits hanging out. The Elite 65t offers silicone tips in three different sizes in the box. (Listen to the Cars & Gadgets podcast for a discussion on the Elite 65t). When I put the Elite 65t on for the first time, they felt a bit tight. I didn’t think much of them and continued to pair the device. Unlike the simplicity of the Airpods, I had to refer to the manual on how to pair the 65t to my smartphone. It requires the Jabra app, and holding down the power button on the right earpiece, until a small LED turns blue to get to pairing mode. After using the wireless earbuds with the default medium-sized silicone tips, I found that my ears were getting a bit sore, so I switched to the smaller tips and that improved comfort tremendously. Sound quality is great: it’s crisp and clear, both for phone calls and when listening to music. I found the bass to be a bit lacking, but it can be adjusted in the app. I made WhatsApp phone calls and it didn’t feel like a VoIP call. I experienced very minor audio lag on the YouTube app, but not on Netflix. The right earpiece is the primary one and is required for phone calls. A single press of a button toggles between pause and play, and holding it brings up your voice assistant. When you pull either piece out of your ear, the music you are listening to will pause, and continue when you put it back. The left earbud has two nibs on either side that you can use to control volume. The trick to opening the case seamlessly is to squeeze the sides in. I found that you have to place the earbuds back in the correct position as there’s no magnetic grip like with the AirPods. When opening it, you also have to make sure they don’t fall onto the ground. Battery life is good, with up to five hours of playback, if you can use the earphones for such a long stretch. Comfort-wise, I couldn’t wear them for extended periods of time. They are fantastic to listen to music, and useful for making phone calls. Being hands-free no matter where you are makes you feel productive. The app allows you to adjust the equaliser to your preference separately for calls and music: toggle the “HearThrough” button so you can be more aware of your surroundings, or choose modes such as “commute” and “focus”.